Peter Pan is one of the classic fairy tales. I mean, who doesn’t want to escape to a magical land where they can be a kid forever. I never have to grow up? Where do I sign up? Most people do a Peter Pan or a Tinkerbell costume. While those are all well and good, they’re a little common. Yeah. 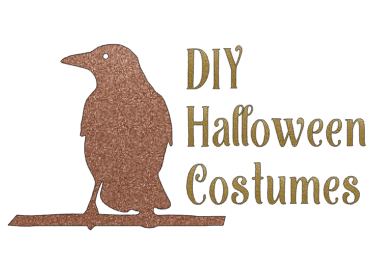 We’re putting our own twist on Peter Pan and doing a DIY Wendy Halloween Costume. What what? You heard me. Or read that. Whatever. This costume was originally created in 2015. Since then, many items used have sold out. we’ve changed the links to items that are similar in feel, but may be slightly different. Links may be affiliate links. 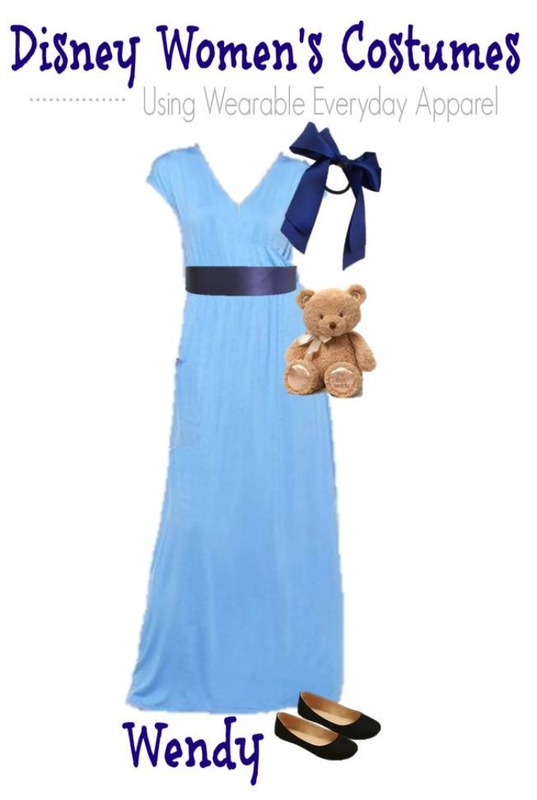 Women’s V Neck Cap Sleeve Dress – Makes the perfect nightgown without it actually being pajamas. And at that price, you can’t beat it! This dress is a good alternate for colder weather. Many of these dresses have plus sized options, too. Women’s Bow Ballet Flats – This is a great price for a cute pair of shoes that are made to last. Available in 6 colors, so you might just want to scoop ’em all up. Navy Ribbon Sash ($10) – It’s those small details that really make a costume. Navy Ribbon Hair Tie ($6) – The prefect hair accessory for Wendy. PLUS – it keeps your hair out of your face. For shorter hair, try a headband. Gund Stuffed Teddy Bear – A great deal on this Teddy. You might want to get one of these for the little ones on your Christmas list, too. It’s the little things that make a costume come together. The hair bow, sash, and dress really make this Wendy DIY Costume come together.